For many male tennis champions, the French Open has notoriously been the one grand slam that remained beyond their grasp. Legends like Pete Sampras, Boris Becker and John McEnroe all failed to capture the title at Roland Garros, and Roger Federer only took home the championship trophy once. 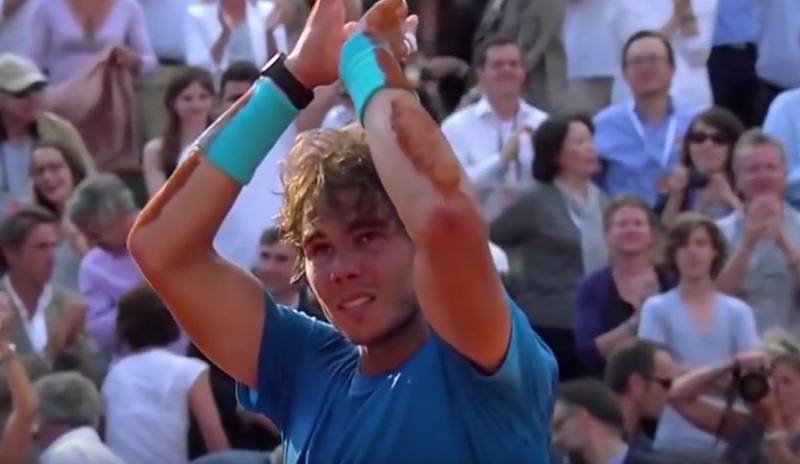 Despite this, there have been some truly epic, nail-biting finals at Roland Garros and these five are considered some of the greatest in history. This one makes the list not because it was a particularly close match, but because it was a thrilling victory for the home fans. Frenchman Yannick Noah became the first player from his country to win at Roland Garros in 37 years when he topped defending champion Mats Wilander. Noah stirred up his home crowd and gave the faithful a remarkable victory to cheer, one which would prove to be the only major championship of his career. Borg was the master of clay before Rafael Nadal, and his 1974 victory against Manuel Orantes was the first of his six titles. This final saw two completely contrasting halves of play; the first resulted in Orantes taking a 2-0 set lead. However the second saw an unorthodox Borg storm through, losing a mere two games and dominating the Spaniard to claim the Roland Garros trophy. Rafael Nadal’s unbelievable run of nine French Open titles in 10 years included four finals wins over world #1 Roger Federer. The closest match was their last meeting in the finals. Federer, eager to avenge the previous three losses, came out strong, but Nadal was just too tough, edging him out 7-5 in the first and 7-6 in the second. Roger powered back to win a close third set, but Nadal ultimately triumphed, making it clear that no one could match his dominance on clay. Over the years, Andre Agassi fans got used to their man underperforming in grand slam finals, and this match appeared to be no exception, as he dropped the first two sets in embarrassing fashion against a clearly inferior opponent. But he roared from two sets down to earn a monumental win, claim his only French Open title, and become the fifth man in history to complete the career Grand Slam. The rivalry between these two tennis legends is legendary, and the 1984 French Open final would be the only time John McEnroe would advance to a French final. McEnroe came into the contest on a 42-match win streak and jumped ahead early, but Lendl persevered to win the title. McEnroe later called the defeat the most painful of his career, the only notable blemish on an incredible ’84 season in which he went 82-3. See also our post on the best women’s French Open finals of all-time, and the best tennis ball machines available on the market today.